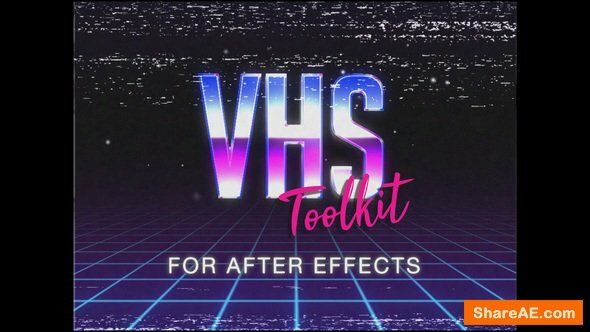 This VHS Toolkit template for After Effects contains all you need to take your videos back to the 1980s! The pack includes tape functions (PLAY, PAUSE, REWIND), damaged tape effects (CHROMATIC ABERRATION, BAD TRACKING, SCREEN WARPS), retro 1908s titles and logo reveals, animated backgrounds and sound effects. Simply drop these VHS damage and tape overlay effects over your footage and you’ll instantly take it back a few decades! Music and footage are for preview purposes only and not included with the project.